If you’ve recently received a traffic ticket in Nevada County and are now looking for an online traffic school, you’ve come to the right place. Traffic School 4 Busy People is licensed by the DMV and accepted by all Nevada County Courts. Once you pass our online traffic school course, you’re finished. We electronically send your Completion Certificate to the Nevada County Court you listed when you registered and to the DMV to notify them that you’ve successfully passed traffic school. How are Traffic Schools Different? As you start your search for a traffic school, you may wonder how traffic schools are different. 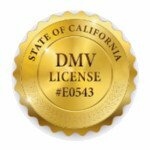 All traffic schools are regulated and licensed by the California Department of Motor Vehicles (DMV). The DMV mandates what topics traffic schools must teach, how long courses are, and makes certain all schools comply with licensing and regulation requirements. This maintains course quality and consistency and ensures all traffic school students receive a standardized education. So how are traffic schools different if the DMV mandates course length and content? The answer is primarily price! Some schools differentiate themselves by marketing themselves as comedy traffic schools and throw in some jokes for an extra price. Others serve people less comfortable with computers and provide traditional in-class instruction. When it comes down to it, all traffic schools give you the same court accepted completion certificate that keeps that ticket off your driving record and the same DMV regulated course. The primary difference - price.